Regimental guns from the Great War, now replaced in most units but others remain in fortress mounts. 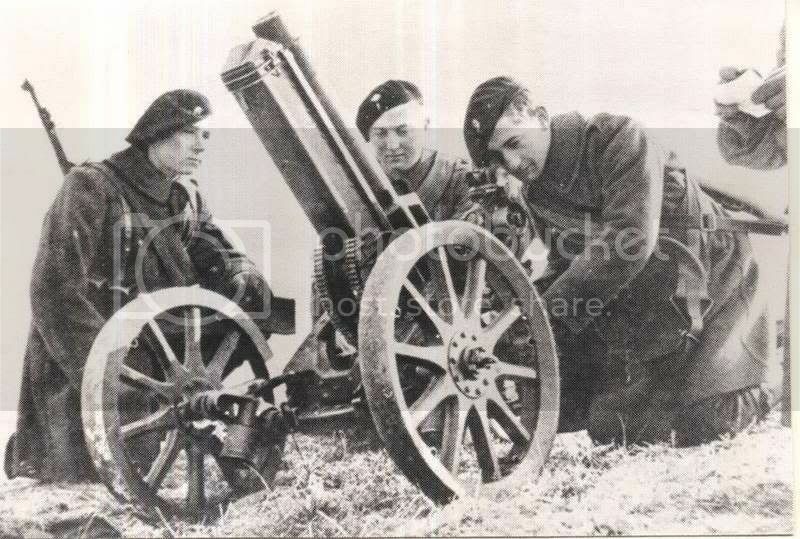 A 75mm mountain gun based on a Bofors design. This was produced by Cockerill with a carriage with pneumatic tires allowing motorized transport. The gun could be tractor drawn or carried in 5 loads. 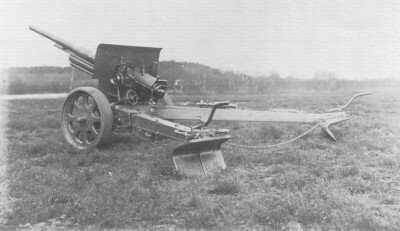 A Great War field howitzer design. During the 1930s these were updated with new split-trail carriages.